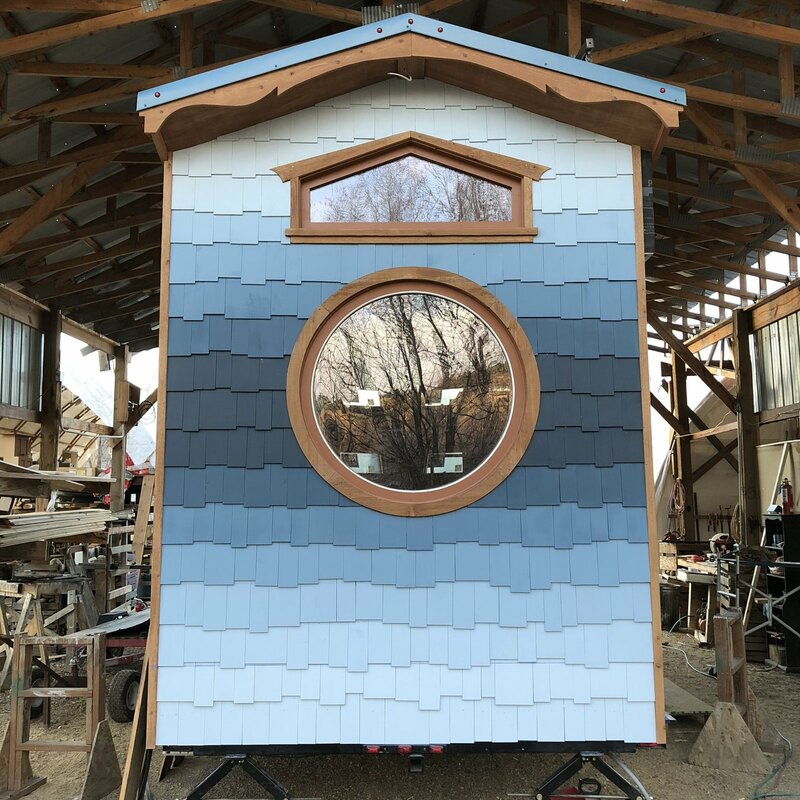 The San Juan Mountains and the environment inspired many design elements of the aptly named San Juan Tiny House. The undulating roof line, for example, recalls a flowing river, while the blue gradient on the back wall recreates the shifting blues of the Colorado sky. "The sun-ray pattern pays homage to the Colorado sun—we have 300+ days of sunshine per year—and the portholes mimic the stars in the desert sky," says Greg.